Our adobe is so organized and clutter free before we have kids. And when we finally have the fruit of love our home is not quite as organized as it is used to be, it gets even clutter when our infants starts to crawl, walk, run and play. When they started to learn things and we start giving them things that we all know would help them on their learning. That's where our home turns out to be unorganized, clutter and kids toys are everywhere. Good thing nowadays, is there are so many different ways website like houzz.com that give us so many options and ideas on how we can unclutter and organized our home again inconveniently as well as to save. 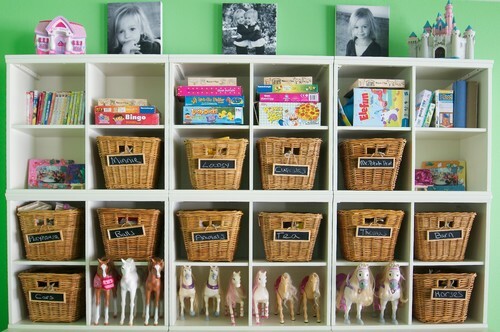 Shelf and baskets can be a great hiding place for kids toys. Very organized indeed and clean too. Some items to stock for the kids stuff. 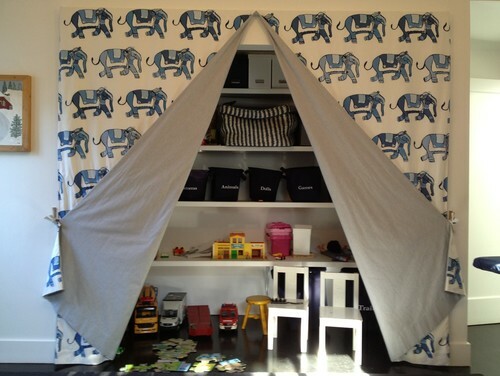 I wish my kids have that huge of a bedroom so I can really organized their stuff.